Are you looking for a stylish way to carry your bowling balls? Whether you're traveling on an airplane or just rolling onto the lanes, Motiv has designed a great looking, non-bulky way for you and your three bowling balls to get where you need to go! 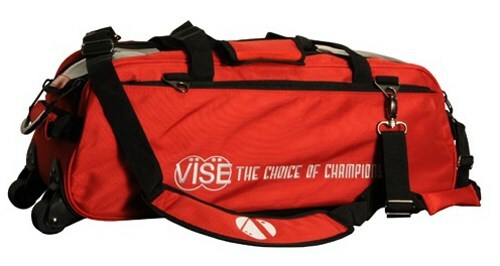 Due to the time it takes to produce the Vise 3 Ball Clear Top Roller/Tote Red ball it will ship in immediately. We cannot ship this ball outside the United States.